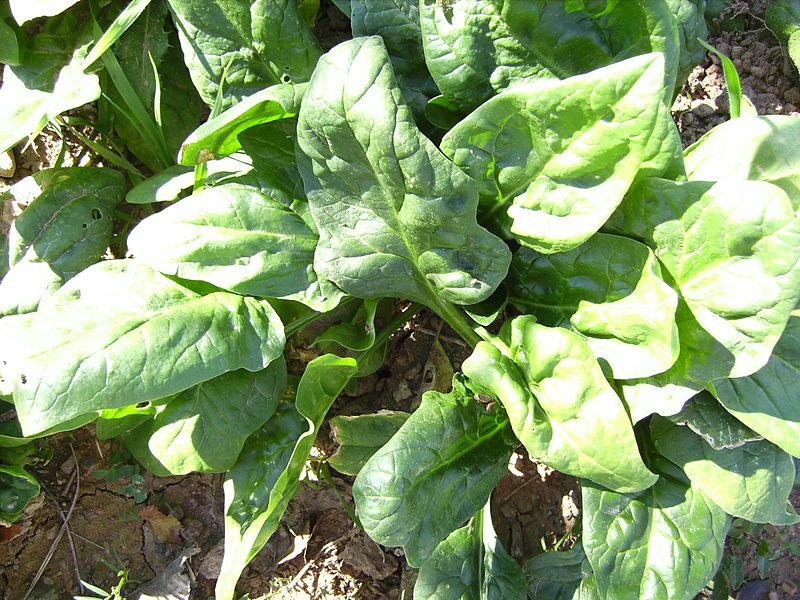 I’m beginning to harvest spinach from my first garden, and looking for ways to use it besides simply braised or added as a green to salad. I vaguely remembered a creamy, cheesy baked spinach dish from my vegetarian years, but searched through all my cookbooks without finding it. Then one day I was casually looking through The Vegetarian Epicure, by Anna Thomas, for something inspiring to try. 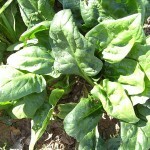 And I happened upon the recipe for Spinach Provençale. “This sounds good,” I said to myself. And as I read the recipe, I realized it was the one I searched for in vain! This recipe is easy to fix, and won’t heat up your kitchen too much on a hot summer day. I like to bake it in a small souffle dish. It will puff up a bit, then fall as it cools, like a souffle. Don’t be alarmed at this. Wash spinach and drain. Chop onion and mince garlic. Preheat oven to 3750F. Heat oil in skillet; saute the onion and garlic for a few minutes. When onion is transparent, add spinach and cover tightly. Steam about 2 minutes. Stir into oil and onions, and cook a few minutes longer. Remove from heat. Butter baking dish. When spinach has cooled slightly, stir in 2 beaten eggs and half of the grated cheese. Season to taste and pour into the prepared baking dish. Sprinkle remaining cheese over top and dot with butter. Bake in preheated oven for about 10 – 15 minutes, and serve steaming hot. Vegetarian Epicure by Anna Thomas; see Beloved Cookbooks for more about this book. This entry was posted in Baked, Dairy, Eggs, Fat or oil, Leafy Veggie, Onion family, Sauteed and tagged butter, chard, eggs, garlic, onion, parmesan cheese, spinach. Bookmark the permalink.